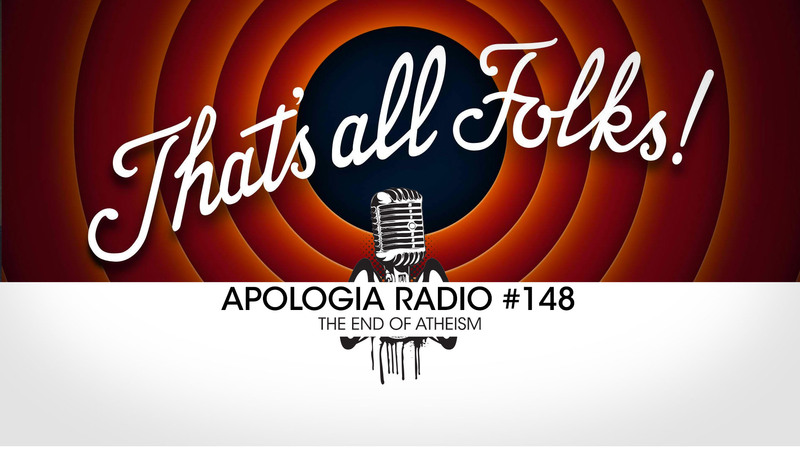 In this new episode of Apologia Radio we talk about how Jesus is better than Atheism. We review the recent public debate between Christians and Atheists at the Bahnsen Conference in California. Our host, Jeff Durbin, was a participant and walks us through a few key points of the debate. We also review a clip of Dr. Greg Bahnsen having a radio discussion with George Smith (author of ‘Atheism: the case against God’). We announce a bunch of new and exciting things happening at Apologia Church and Studios. You’ll definitely want to listen in to this episode because we announce a very special thing we want to do to bless our listeners. Let’s put it this way: Someone is getting a trip to Arizona, a tour of the studio, and dinner with our team. Maybe that someone is you? Listen in and share, everyone! Don’t forget to sign-up for our All Access and get tons of content, training, and be a part of our ministry team. Thank you for your love, prayers, and support! I just wa to to leave a message thanking you guys for your strength and courage for the gospel of our Lord. It is contagious and your lessons with scripture and the Holy Spirit has equipped me to be courageous in the faith. I used presuppositional apologetics with a college professor teaching atheism in my class. It has been 3 months now and he hasn’t taught his teaching since, and I have been as to lead 3 atheists from the class to the gospel. Your zeal has encouraged me and has given me strength in His Word to shareI the gospel. I just want to thank you guys. I sure love you guys. Please let me know when the Red Door Ministry is up and ready. I am one of the deacons at Hope Reformed Baptist Church on Long Island (Medford, NY); and involved with the Pro Life Ministry here at the church. It would be great to be able to access some training in this area of service. Thank you! When will the access to the Stonewall documentary be available? Hey guys, thank you so much for your boldness. I, too, have been encouraged and emboldened in my faith and my willingness to share the gospel. I feel more equipped to provide biblical defense of my faith and I have you to thank for that. In this podcast, you mentioned how Christians in debates so often give up their commitment to Christ and that’s how we lose debates. I wonder if, in some future podcast, you would be willing to find such a debate and critique a few key points for us to see what bad apologetics looks like and how you would fix it. Thanks, guys, for everything you do! I am so hating on you guys right now!!!! I’ve had “All night long” in my head since I heard this episode yesterday!! I just wanted to let a quick comment about the humor on this episode. I have listened to Apologia for about two years now. I was first introduced to it when I attended the “Herald Society” in Philadelphia and heard Jeff preach and teach. So I just had to tell Jeff that I could not stop laughing at the Bernie Sanders bit you did with the college student that was a spokes person for the protesters that want free college….. That was the best! I love listening to your show and you have been a huge influence on my eschatological view. THANKS!